Detail the ways in which next-generation paper towel systems contribute to green building goals and affect public health considerations. Describe effective approaches to curtailing the spread of germs in order to create safe, healthy public facilities. Compare the effectiveness of various hand-drying methods in terms of personal hygiene and cleanliness of the public restroom facility. 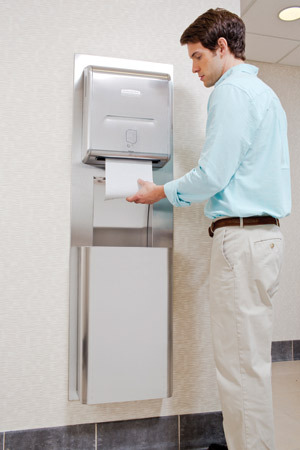 Specify paper towel dispensing systems according to universal design and ADA standards. It's not often that a product can rest squarely on the three pillars of sustainability—environmental, economic, and social. While drying one's hands in a restroom may seem a simple act, it is one with far-reaching implications. With the wrong system, hand drying may be incomplete. It may be a way to transmit germs, causing illness that results in millions of dollars of downtime for employers, lost days for students, and inconvenience to the general public. Further, the wrong system can degrade the environment and generate unnecessary noise pollution, increased maintenance costs, and even safety concerns. Recent studies have reaffirmed that paper towels are the most hygienic and user-preferred method of hand drying in a public restroom1—and architects interested in creating fully sustainable spaces are well advised to closely examine this issue. The following article will present the urgent need to take steps to create healthy and safe public spaces, focusing on a key element of those spaces: restrooms. Existing hand-drying systems will be compared in terms of hygiene, environmental, and aesthetic characteristics. Also presented will be a short primer on specification considerations and best practices in next-generation paper towel systems. 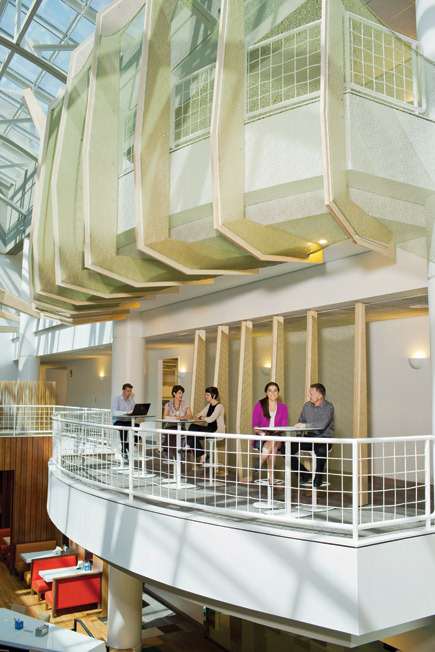 Today's green buildings demand solutions that promote the safety, health, and well-being of occupants, while enabling minimum possible energy usage and responsible sourcing of materials. 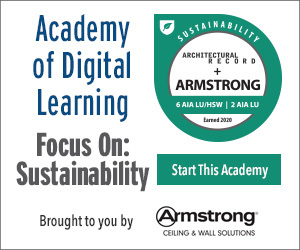 Providing solutions that foster occupant health and hygiene can have a significant impact on a building's environmental performance, and offer the potential to earn credits in the U.S. Green Building Council's Leadership in Energy and Environmental Design (LEED) rating system, the preeminent green rating program in the U.S. Ideally, modern facilities feature a clean, crisp look and support public health goals. Effective hand washing and hand drying are not only key to good restroom design in public spaces, they have implications for public health.